Congratulations to the winner Liz from Me and My Shadow with her inspiring vintage sewing room Log Cabin. Hi Bloggers! How would you like to win £250 to spend at Made.com? If you don’t know Made, they are full of amazing, contemporary furniture and home accessories. You could use your winnings to jazz up the home, just in time for Christmas, or treat your family and friends to some lovely gifts. 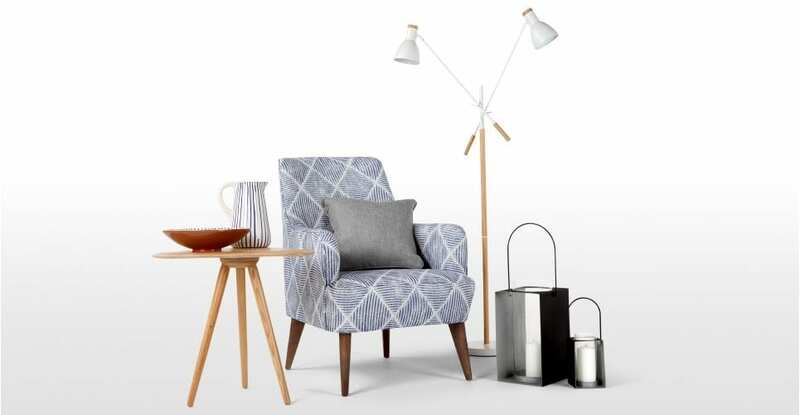 How about something from their brand new Dutch inspired range, featuring vases to accent chairs, natural wood and blue highlights. Or perhaps you’re after some new lighting? You could treat yourself to this Starkey pendant light with your winnings, it’s just £89. And you can even use your £250 to get yourself a brand new sofa bed – this beautiful Yoko sofa bed in cream is just £219. So, what do you need to do to be in with a chance of winning this lovely prize? Well, to celebrate the launch of their new female focused blog, the Grassy Broad, the lovely people at Tiger Sheds would like to set you a challenge. For a chance to win their made.com prize, they would like you to style up one of their sheds. Now, if you take a look at the website you will see that these are no ordinary sheds, these are gorgeous outdoor log cabins that would be the perfect hideaway space or getaway. And we would like you to create the perfect interior and create your own stylish sanctuary. With space a premium in many homes and extensions costing tens of thousands, a log cabin at the bottom of the garden is the ideal way to create a space to escape to at the end of a long hard day. I would love to see what creative solutions you come up with to make the most of this space. Perhaps you would turn yours into a photography studio, or maybe a craft or sewing room. Maybe it would be a room to run to when you want to watch your favourite sport, or movie. Or perhaps it would be a playroom for the children, or a den for the teenagers. However you choose to style up your room, I would love to see your creativity, originality and style shining through. Create a moodboard using a tool like picmonkey, pinterest, or polyvore and then write a blog post explaining your plan and your choices. Take inspiration from anywhere that you like (make sure images are copyright free of course) and really express your love of home and interiors. Then come back here and link up your post. I’ll be judging the entries and choosing the winner. The competition is open for 3 weeks, so good luck! I can’t wait to see what you come up with. – The prize is £250 to spend at made.com provided by Tiger Sheds. There is no cash alternative. 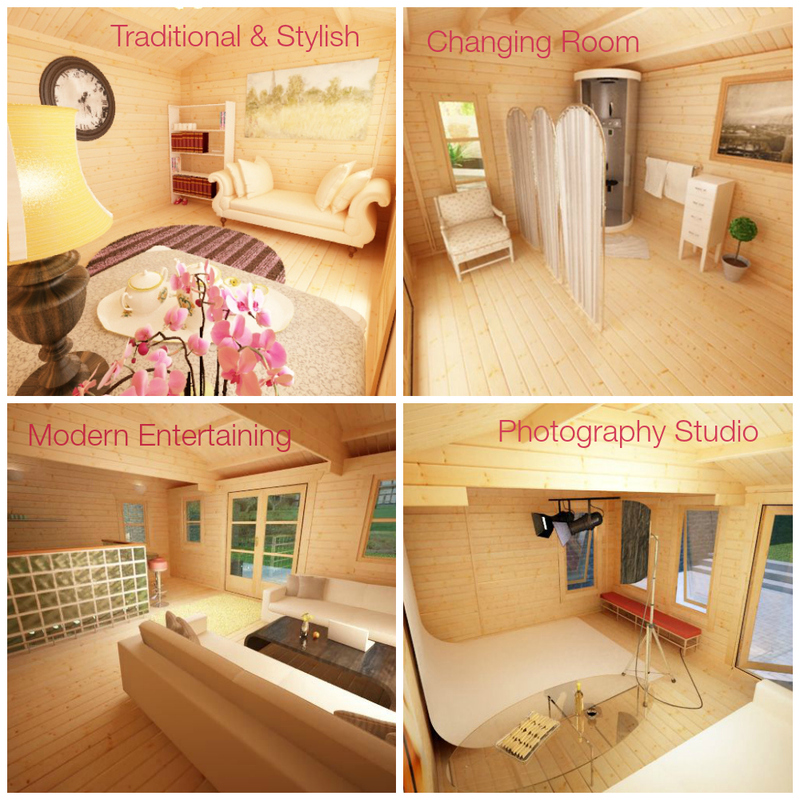 – Entrants must create a moodboard and blog post depicting their sumptuous shed hideaway. – The Blog post must include a link to the Tiger Sheds website. –Once completed the entrant must comment on this blog post including a link to their competition entry post. – By entering, you give permission for your competition entry to be published Love Chic Living, the websites of Tiger Sheds,any social media account controlled by the Promoter, and you grant the Promoter a non-exclusive, royalty-free, worldwide licence to use and publish your Competition entry in electronic format, and to adapt the entry to enable such publication (including to crop or otherwise edit it for such purposes). – The winner will be judged by the Love Chic Living team and contacted by email. I loved doing this competition because it is something I’ve thought about way too often 🙂 I sometimes think about how lovely it would be to be sat in one while it rains and you have a hot cup of coffee and a good book.. I hope you like my entry and thank you so much for the chance! Hello I have completed this challenge as my latest blog post http://www.beautyadoration.wordpress.com 🙂 I`m sorry if I submitted 2 comments I’ve had trouble with my internet connection. I love this idea, and can really visualise it. I will have to start saving up. Thank you for giving me the opportunity to let my imagination run wild. Pingback: Style a Shed Challenge – My Dream Scandi Cabin! I loved doing this … Thank you for the competition, it was so much fun. Now I need to start saving.